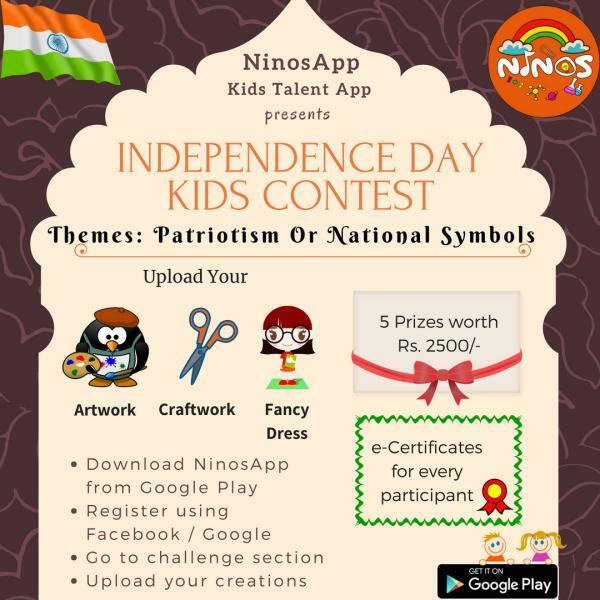 NinosApp conducts contests for kids every month. The theme for the month of August is “Patriotism or National Symbols”. Prizes: 5 Winners will Win Prizes worth Rs.2500 (or more) & e-Certificates for all the participants. Deadlines: Contest Starts on 01/08/2018. Contest ends on 14/08/2018. 3. 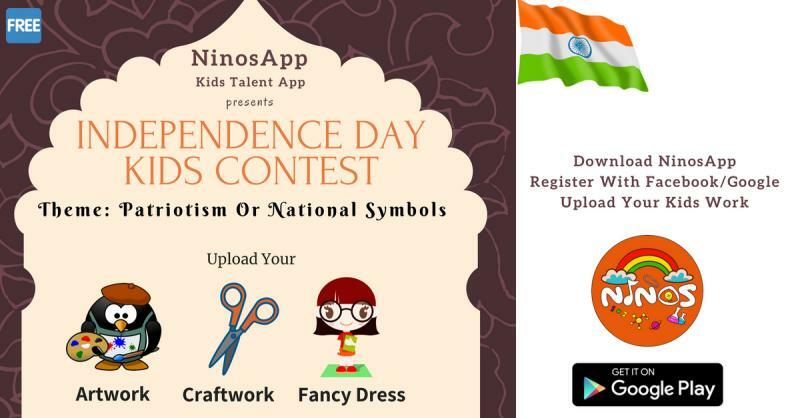 Upload your Art / Craft / Fancy Dress in the Challenge section. Can you tell the age category for this contest. My kid 4.5 yrs old. In which type of contest I can enroll here. And about the registration fee,if any. Can 1 year 11 month baby residing in Kolkata is allowed to participate in Fancy Dress Competition?